Intravenous fluids such as colloids, crystalloids, blood products, and oxygen-carrying solutions are tailored to the body’s needs and used to replace lost fluids, sugars, salts, fats, and other substances vital for the human body and/or to aid in the delivery of IV medications. Wipak offers both standard and high-barrier IV overwrap solutions that withstand sterilization, transportation, storage, and handling-related ruptures. Our products are PVC-free. Most IV fluids are packaged in soft plastic or vinyl bags, of various sizes, ranging from 10 to 3,000 milliliters. The most common plastic solutions for primary bags are either PVC- or polypropylene-based. For the secondary packaging, the overwrap is usually made from either PP or a PP/PA type of material. If a higher barrier is needed, packaging solutions are available with SiOx or AlOx layers that provide a barrier for the materials. Because IV fluids are almost solely sterilized by steam, the materials need to withstand temperatures of 110–125 °C / 230–260 °F very well. Instead of SiOx and AlOx materials, which break easily during handling and transportation, Wipak’s solution is based on an EVOH layer and a special production technique that allows fast barrier recovery after sterilization. The biggest advantage is that the material does not allow pinhole openings in the wrapping that could compromise the effectiveness of the product within. For the producer, this means fewer claims related to defective packages; nurses end up with fewer unused packages; and patients enjoy greater safety. Wipak offers IV overwrap that withstands sterilization, transportation, storage, and handling better than SiOx- and AlOx-based materials do. This is an enormous advantage, since no producer can afford continuous claims related to defective packaging, which could well lead to loss of customers if it persists. Wipak materials form and seal well, and they provide clarity and great durability. 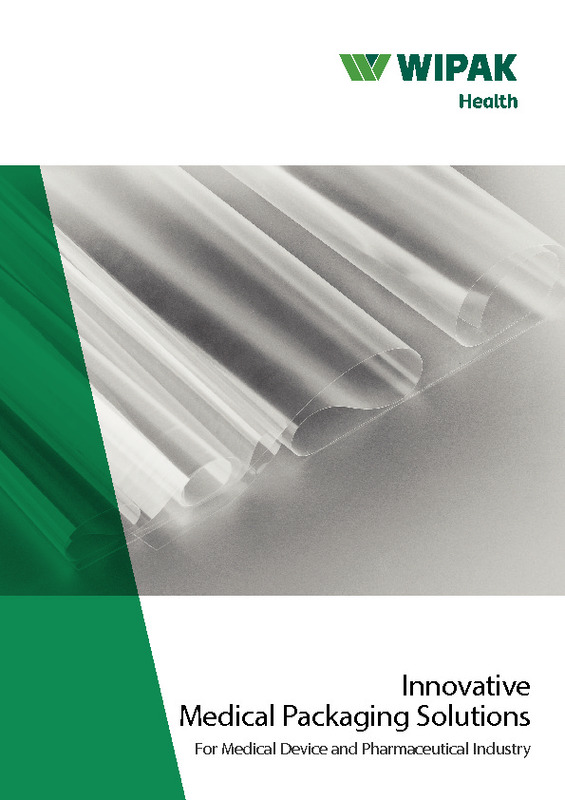 We offer non-PVC products and materials for pouch manufacture, along with thermoforming films for FFS lines.